A Primer for Newcomers to Niagara's "Liquid Gold"
Ever since 1991 when Inniskillin Winery traveled to Bordeaux France with their 1989 icewine and won the Grand Prix d’Honneur at Vinexpo, the Niagara Peninsula has been known and heralded around the world for its excellent icewines. Known as “liquid gold,” the resonant sweetness of a good bottle of icewine is without parallel in the wine world, and in Canada, it’s as common and as essential as bread and butter. If you’re planning a trip to Niagara, it’s essential that you know a little about the history and painstaking process that first put Canadian wine on the international map. Especially since every harvest still results in some of the world’s finest icewines. 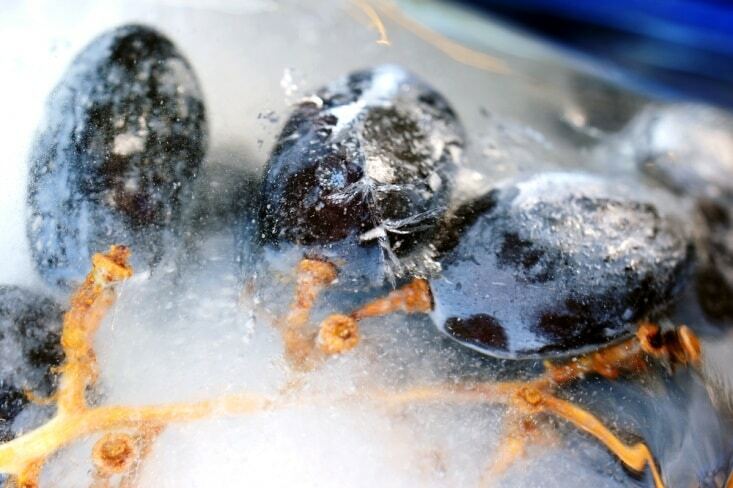 Most people credit Germany with the happy and accidental invention of icewine back in the late 1700s, when an early freeze caught grape growers off guard. Undeterred, a stubborn winemaker went ahead and harvested the frozen grapes, pressed them, and fermented them. The result was a delicious sweet wine that was so good, the process was repeated again the next year so that now, icewine is sold in 59 countries all over the globe. While Germany continues to make icewine — or eiswein as they call it — conditions in Ontario have turned out to provide a more ideal climate with the region’s warm summers for grape ripening and cold winters that freeze the grapes without being cold enough to damage the vines. Icewine production in Niagara is a labor of love. During the fall, when the grapes are starting to ripen, the vines are put under nets to offer some protection for the fruit from birds. Then, every November, winemakers register their grapes with VQA Ontario inspectors so that when the wine is made, the bottles can bear the VQA distinction. From that point on, the grapes are left on the vine, causing them to dehydrate so that the remaining juice becomes very concentrated. Once -8 degrees Celsius (or 17 degrees Fahrenheit) is reached and sustained, which tends to happen anytime between December and February, the winemakers and growers watch the temperature gauge to find a temperature stretch between -10 and -12 degrees Celsius (10 and 14 degrees Fahrenheit). These low temperatures produce the optimum amount of sugar in the juice, and they often hit overnight so that the harvest and pressing occur in the dead of night. Handpicked over about a six-hour period by people dressed as warmly as possible, the grapes are immediately pressed, yielding a small amount of very concentrated juice. 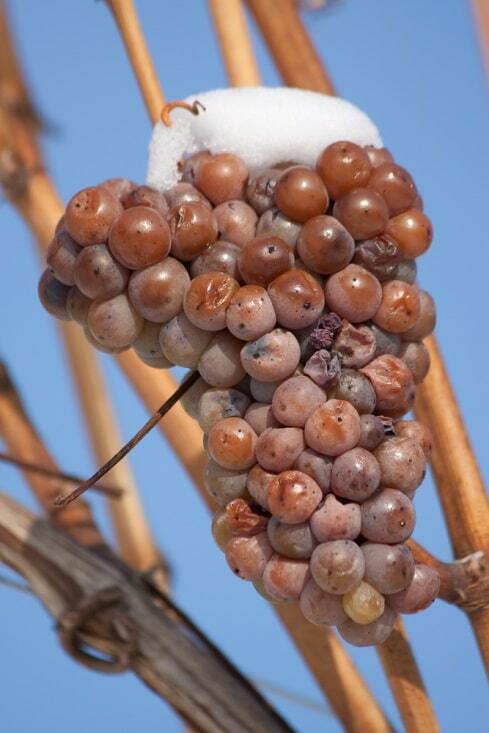 Juice yields for icewine are usually only about 15 percent the amount extracted for other wines, a disparity due to dehydration, birds and animals, and the frozen pressing. Niagara’s icewine is notably sweet, but it can also be very complex. The high sugars in the juice stop the yeast from being able to grow for long so fermentation is brief, which results in a wine with low alcohol and a lot of sugar. Some icewine is oaked, which yields a more robust and complex flavor, while unoaked icewine maintains a bright fruitiness. Head to Niagara to taste the wine that proved Ontario could compete with the best wines in the world.